Dogs might not require the same dental hygiene routines that we do, however it’s important that we keep their teeth healthy by brushing regularly. Introducing a brushing routine into your dog’s lifestyle may be difficult at first, but once they learn to trust you and the brush, dental problems will become a thing of the past. 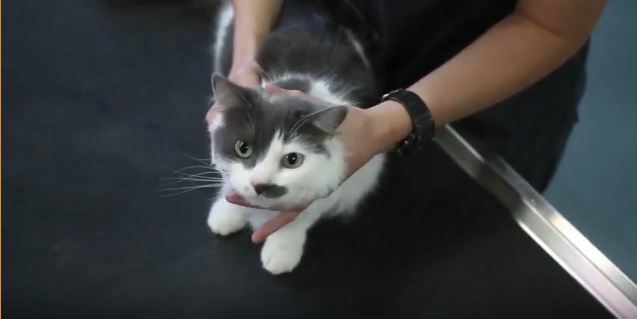 This video from your team here at Knutsford Vets in Cheshire will show you how to brush your dog’s teeth in a stress-free manner. There are a number of toothpaste’s and toothbrushes on the market for dogs and choosing the right type is important for their dental health. The first thing you should note is that human toothpaste is 100% not suitable for animals of any kind. There are a range of toothpastes on the market that are formulated specifically for dogs, using only ingredients that won’t harm their mouth or general health. Choosing a toothpaste that your dog will agree with can sometimes be a difficult challenge and you should look for a flavour that they like. Certain toothpastes are also targeted at different dental health issues, including bad breath, gum issues or plaque build-up. If your dog has any issues with their dental health then your vet will be able to advise on the best toothpaste for their needs. Toothbrushes for dogs will depend on their past brushing experience and the kind of breed they are. 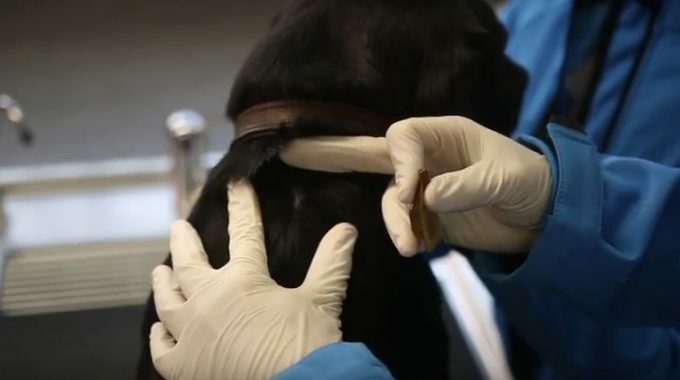 In all instances you should start brushing your dog’s teeth with a finger brush like the one in the video. This gets them used to the sensation of brushing and having a foreign object in their mouth, whilst you also have more control over the brush. Once your dog is used to the finger brush you may want to switch to a traditional brush. The type you choose will be based on their breed with a variety of brushes designed for big, medium and small breeds in order to suit their individual tooth size. If you are unsure if a brush is suitable for your dog, simply ask your vet for advice. Starting brushing from a young age can be extremely useful for two reasons. The first reason is that your dog will have great dental health from a young age, reducing the risk of developing issues later in life. Secondly, getting them used to brushing at a young age will be easier than introducing them to a toothbrush in adulthood. The older a dog is, the less receptive it is to new things, no matter how minor they may be. Dental chews like Veggident are a great way to clean your dog’s mouth and keep them occupied. Certain dental gels like Petdent can be used to reduce the bacterial load in a mouth and doo not require brushing. Dental diets contain a larger kibble encouraging your pet to chew more, increasing the mechanical cleaning action. Some also contain compounds to bind minerals that would otherwise stick to the teeth and form plaque. Harder foods are best for their dental health as it is less likely to stick to their teeth causing a build-up of tartar and decay.